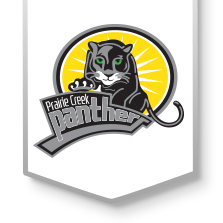 I am so excited to be teaching First Grade at Prairie Creek Elementary. I was raised in Severy, KS. After high school at West Elk in Howard, KS, I attended Coffeyville Community College and then Emporia State University earning my Elementary and Special Education Degree in 1983. In 2016, I completed my Masters Degree in ESOL from Newman University. I began my teaching career at Severy Elementary and then worked for the Eureka School System. We moved to Andover in 2009, where I have taught fourth and third grade. Sam, my husband of thirty-five years, is a Financial Planner for AXA Advisors in Wichita. We have four children; Meagan Mitchell (Andover), teacher in Wichita, Haley Short (Kansas City), Nurse, Whitney (Andover), cosmotogist and plans to get a degree in Nursing, Lucas, student at KSU, two son-in-laws; Tom Mitchell, CPA,and Dr. Levi Short. We are also blessed with two beautiful grandbabies, Lennon and Liam, and two granddogs, Nikki and Sasha. I enjoy hanging out with family, playing with my grands, gardening, and watching sports.